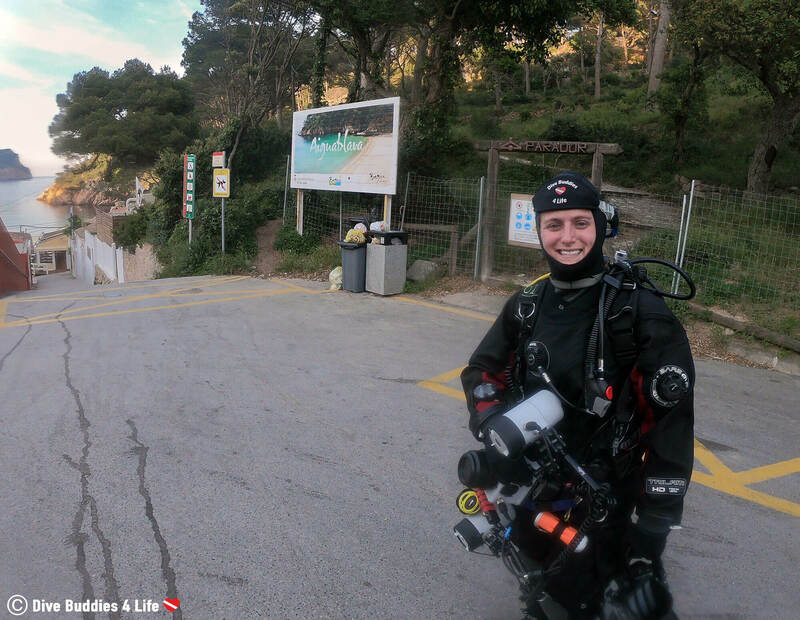 Scuba diving Spain’s Costa Brava – yup that’s a thing! Don’t believe me? 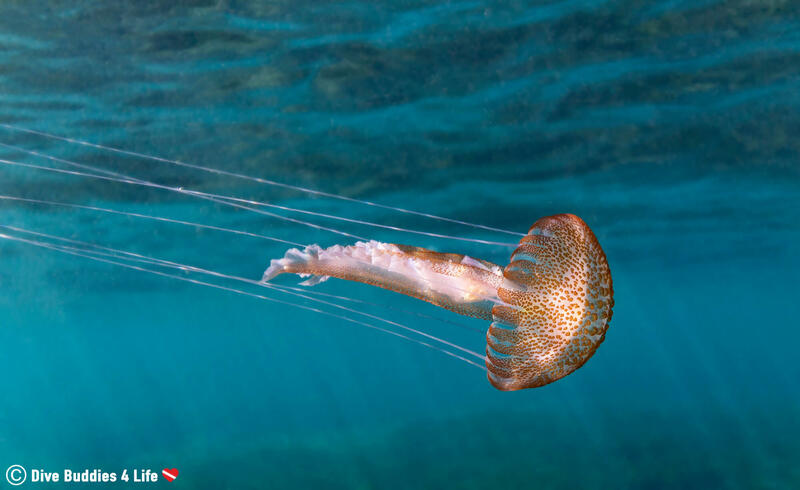 Just ask our fierce scuba friends at Dive Center Palamós. I’m sure you’ve probably heard mention of Costa Brava in your passing life. If not well, Costa Brava is found on the north-east of Spain, in a coastal region known as Catalonia. Catalonia stretches from the Pyrenees mountains on the Franco-Spanish border all the way down to the mouth of the River Tordera hugging the Mediterranean sea. The area is an autonomous community which encompasses four provinces of which Barcelona is the largest city and capital. Costa Brava’s photogenic nature and teal-blue waters make this part of Spain well versed on tourism. Visitors come from all over for the beauty, the beaches, and the coastal atmosphere. It’s just like an extension of France’s Cote d’Azur at half the price. Being a region primarily driven by the sea, Costa Brava has many watery things to do, including scuba diving in the summer months. Sure the area might be better known for their football than their diving, but that doesn’t make it any less of a scuba destination. With a coastline that seems to go on for forever, Costa Brava is a place in Spain that offers both warm water and cold water diving depending on the seasonality. For those heading to Costa Brava for some vitamin sea, there are plenty of underwater places with enchanting coves to explore. Aquaholic travelers can easily let their worries drift away on the tide as they submerge into the Mediterranean waters. Some of the best places to dive along the sharp coast include Aiguablava, Blanes, Cadaqués, Medes Islands, L’Escala and Palamós. Located in the heart of Costa Brava is the small fishing town of Palamós. 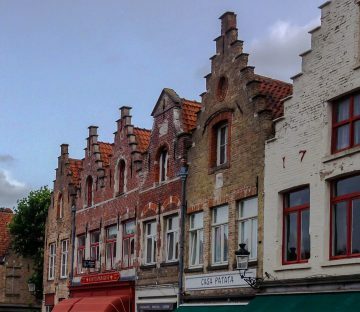 This municipality sits to the north side of a vast curved bay and is famous for its prawn fishing industry. 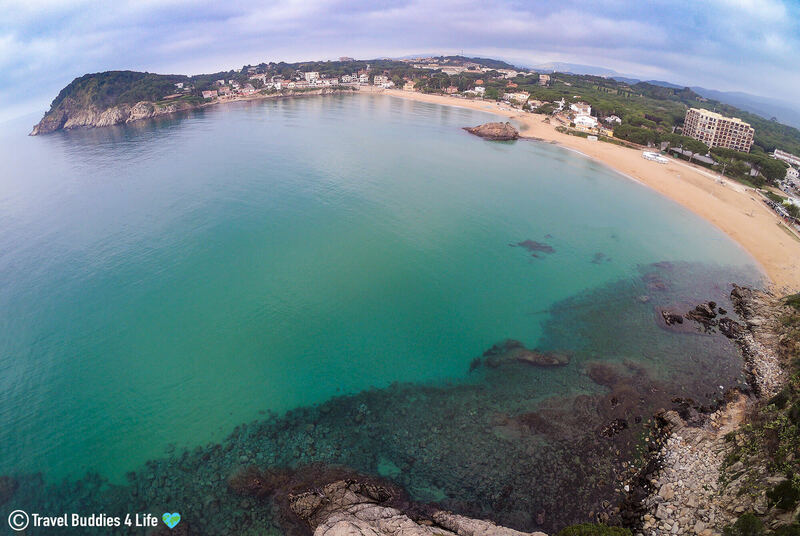 On top of good Spanish cuisine and a busy nightlife, Palamós has two of the most beautiful beaches along the coast. 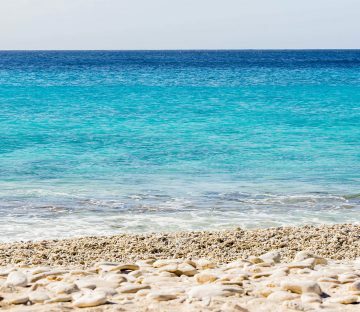 Think of white sand, limestone cliffs, and blue water – that pretty much sums up this place in a nutshell. Aside from the amazing-beach selling feature, what makes Palamós an even more appealing travel option, is that in the summertime there are nowhere near the number of tourists that arrive here as on the rest of Costa Brava. But shhhhhhh – don’t tell! We don’t want this seemingly quiet spot to start getting overrun but visitors. Above and beyond the terrestrial qualities of small town Palamós, this region is also famous for its underwater beauty. The serene and peaceful Mediterranean waters are rich in sea life and always swimming with schools of colorful fish. I love watching heaving group of sardines moved as one entity or a creeping octopus shimmy along the rock bottom. 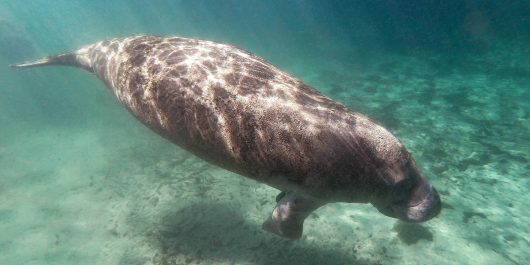 If you are an animal lover be on the lookout for eel’s, jellyfish, sea bream, sea bass, octopus, nudibranchs, gorgonians, barracuda and groupers. Alternatively, if you prefer attractions of the sunken ship variety, Costa Brava’s Boreas is a good option. The Boreas Tugboat was built in 1938 and used in World War II. Following the war and its capture, after being involved in contraband off the coast of Begur, the boat was acquired by two diving centers and sunk as an artificial reef for divers to enjoy. 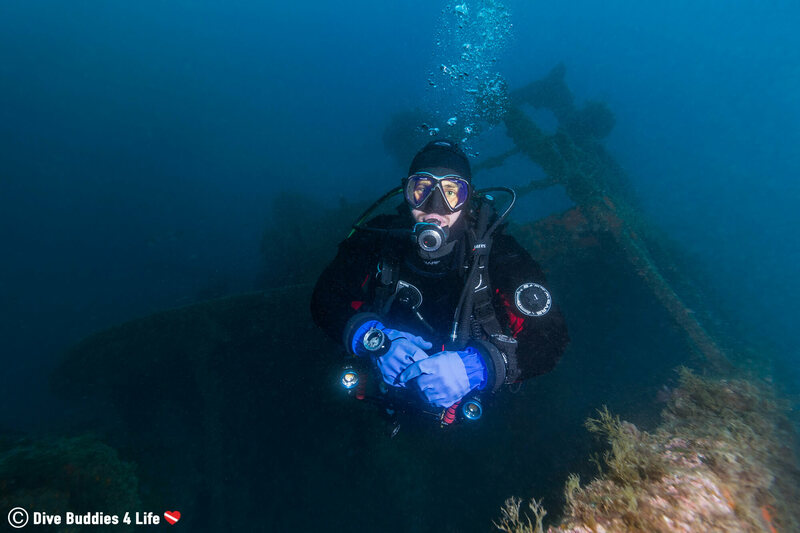 Whether your wreck diving or hoping to see the marine flora and fauna, all the dive sites around Palamós can be reached either by boat (usually a small inflatable RIB) or from the shore (you will need a car to drive to the entrance points). Boat diving is easily the most popular way to explore the underwater world of Palamós and ultimately the Costa Brava. 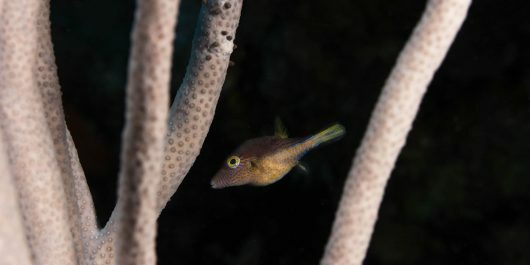 Some of the best sites are simple pinnacles in the sea attracting all sorts of marine life. Most dive shops have small inflatable RIBs (zodiacs) that will zoom you to and from the dive sites in 15 minutes or less. 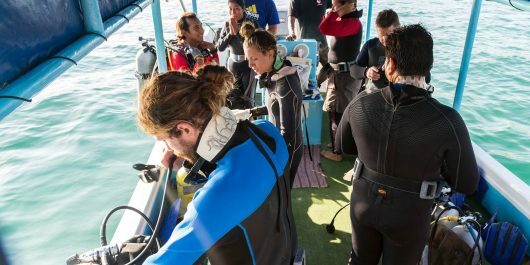 The RIBs are tight for space when the dive is booked solid, so divers will typically prepare their kits and suit up on land to then be shuttled to the desired dive site. 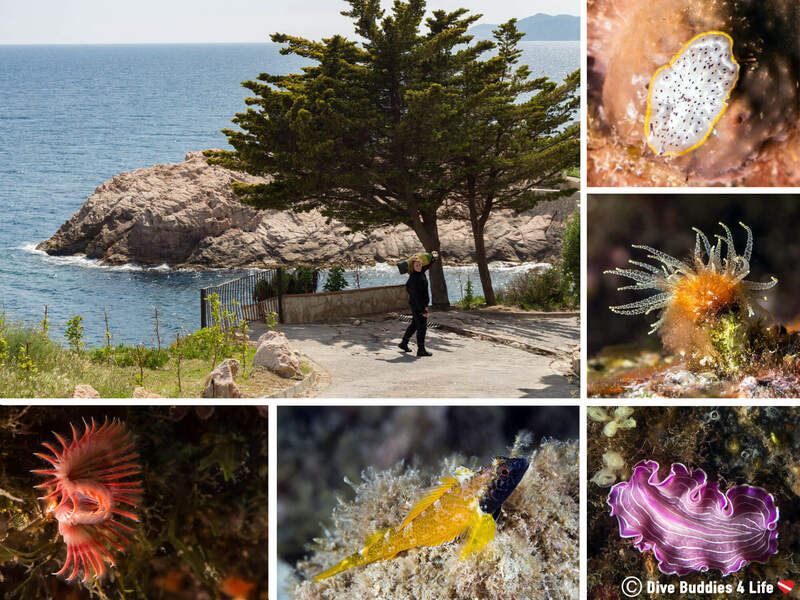 Els Ullastres and Boreas – the two dive sites we visited from Palamós via boat were excellent and left me wanting more. The Els Ullastre is generally split into three different dive sites (Ullastre I, Ullastre II and Ullastre III) because of the three different underwater mountains that make up this site. These submerged rock formations are found at different depths within the span of 8 to 54 meters (26 to 177 feet) and are generally dove following a circular route beginning at the deepest point. 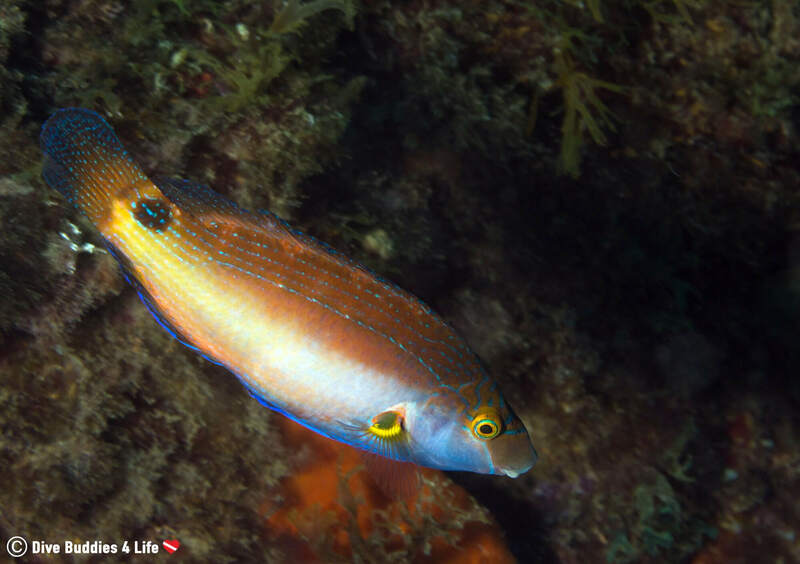 On the Els Ullastres, there are lots of little things to be seen on the seascape such as gobies, jellyfish, nudibranchs, anemones, barracuda. Besides the small-scale wildlife, this spot is also well known for it’s massive gorgonian walls. But in spite of the Els Ullastres gorgonian-hype for me, the real showstoppers came in the form of teensy-weensy and colorful flatworms. I just loved this strange creatures! 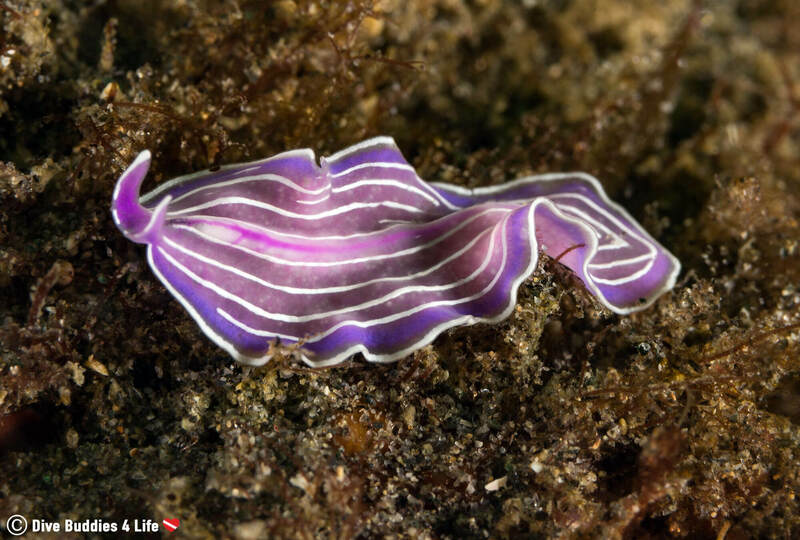 Interesting Information: Flatworms are soft-bodied invertebrates that can be free-living or parasitic. 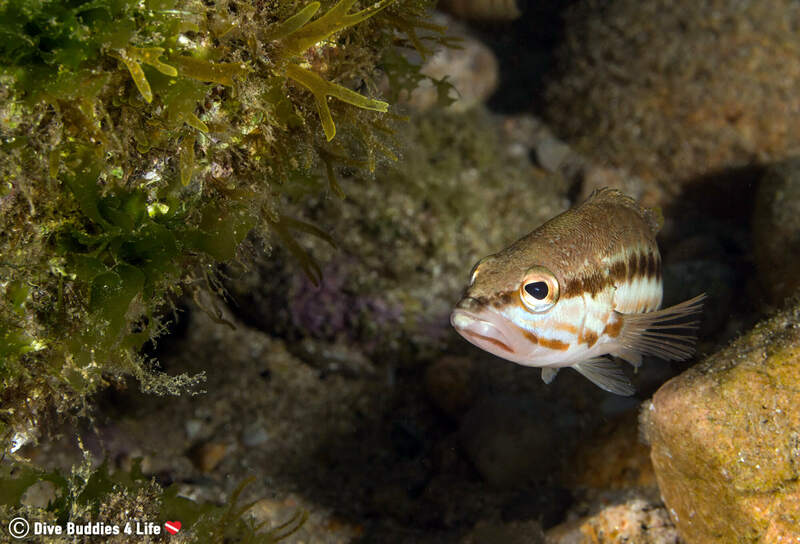 The free-living type (which are the ones we discovered) can be found in water or moist terrestrial environments. As described above, the Boreas is a tugboat from World War II sunk as an artificial reef in 1989. The shipwreck dive site lies between 22 to 32 meters (72 to 105 feet) on a bed of sand just a 10-minute boat ride from the harbor. Due to the depth, diving the Boreas is considered by most shops as an advanced scuba location. The average visibility while diving this wreck is around 10 meters (33 feet), and with the proper training divers can penetrate the wreck and visit the engine room, the kitchen, the bridges, and the captain’s cabin. 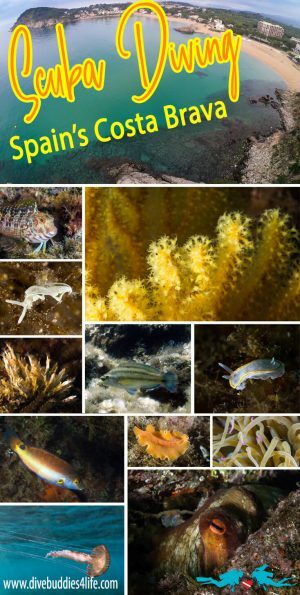 Are you looking to shore dive Spain’s world renown Costa Brava? Look no further than the splendor and glory beneath the glassy water surface of Palamós. A couple of the shore diving sites that we checked out while staying in the area were the Caves of San Feliu and Aiguablava Beach. The Caves of San Feliu are found just in front of Port Salvi, between Les Planetes and Cala del Vigatà. 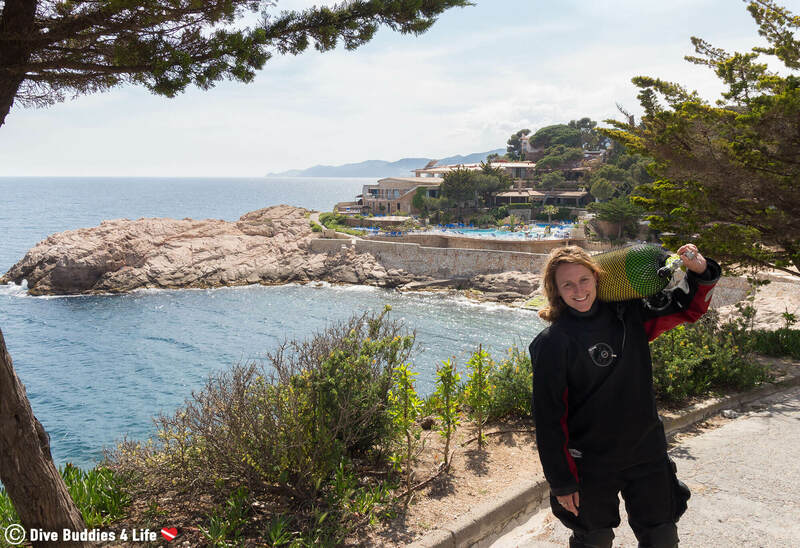 To get to and from the San Feliu shore site, divers must park their car along the street unload and transport their gear down a hill to the entry point. And be warned it’s a little bit of a walk. To enter the water there is an algae-covered unmaintained ramp that you can use, or, like us, you can tactfully maneuver yourself across some less slippery rocks. For the most part, the bay is somewhat sheltered from the open sea, but if the wind is blowing just right you can get some pretty rough water breaking in the bay. 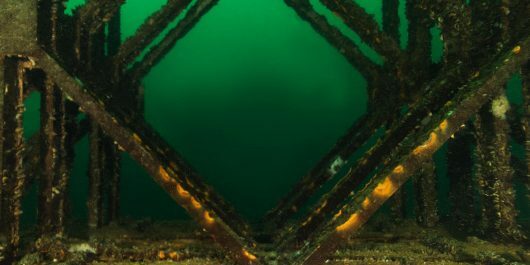 The bottom of the dive site is made up of towering wall formations and tunnels opening up to a wide channel making it good marine life scouting. The San Feliu caves can be tricky to find (we actually never ended up finding them when we dove the site), but they are their hidden in the rocks typically at a depth of 24 meters (80 feet). Overall it’s an interesting place but the real killer is needing to lug all your dive equipment back up the steep hill after the dive. Some of you might recognize Aiguablava Beach as the poster child for Costa Brava beaches. This small sheltered bay surrounded by trees and overlooked by the municipality of Begur boasts clear turquoise waters and soft golden sand. Due to excessive boat traffic and bathers, Aiguablava is not at the top of the list for Costa Brava shore diving sites, but if you’re looking for a quick evening or night dive location, this beach isn’t too bad. You enter the dive site by trekking across the beach, past the restaurants and small shops. The entry is an easy shore entry wading out into the cove with a rock pier to hold equipment while you get organized. The Aiguablava dive site is relatively shallow, making it a good fit for snorkelers as well as beginner divers. 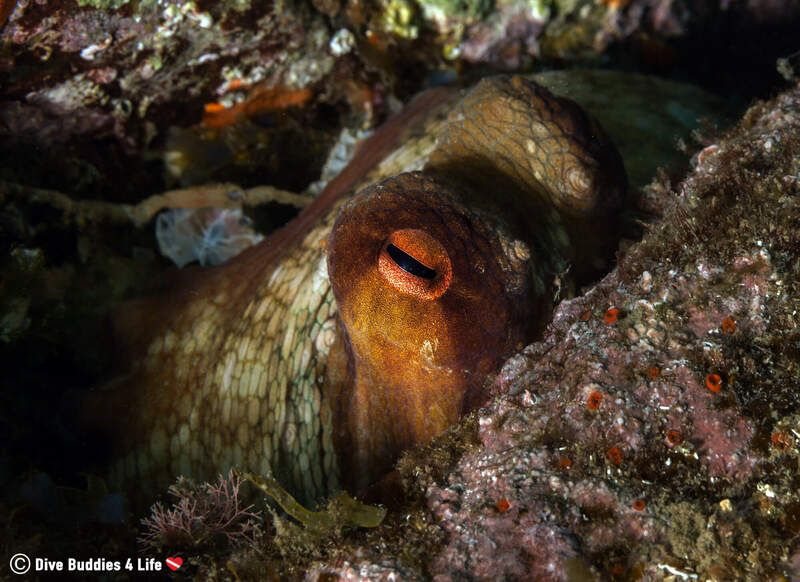 Under the water, the sandy sloped bottom descends with patches of rocks and grass dotting the seabed providing the perfect hideouts for octopus, crabs and other minuscule things. If you have a macro lens I would highly recommend it for this site as you won’t see much big stuff. Diving into Spain’s Costa Brava gave us a much-needed splash of sea salt and a decent dose of sunshine. We loved the beaches and blue water. 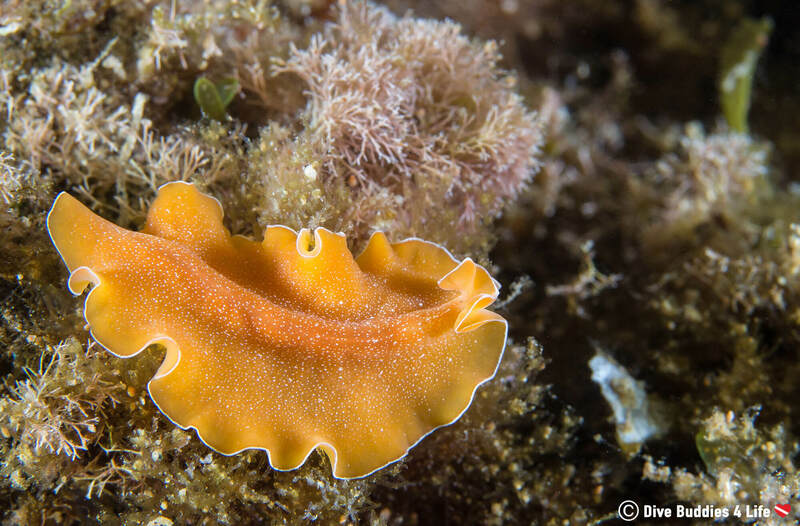 The greatest part about diving Costa Brava – my new found flatworm obsession. Orange, purple, yellow, whites… Aren’t they the frilliest and daintiest wee things that you ever did see??? The worst – well Costa Brava is a region well spent on tourism. If you are anything like Joey and me, we hate crowds. 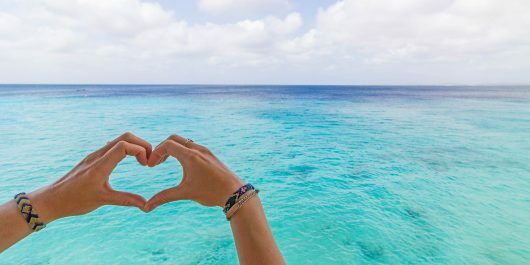 During the summer and peak tourist season you will likely need to deal with a full boat and large quantities of divers. Thankfully we beat the rush and managed to hop in and out of Palamós a couple of weeks before tourist mayhem. During our time in the fishing village of Palamós, we had the chance to boat dive and shore dive some of the highlights of the region. Our favorite site? The Boreas, even with the mediocre visibility. I mean who doesn’t love a good shipwreck. 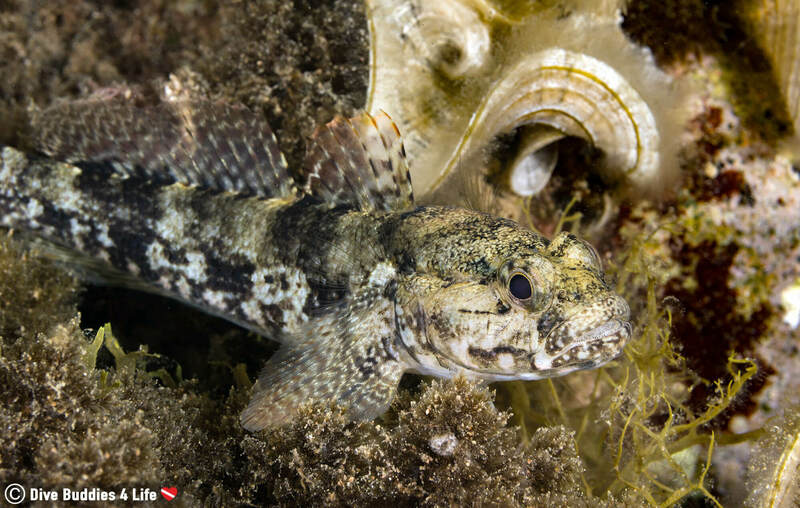 As for whether diving Costa Brava is the right fit for you? I can’t speak for your skill level or dive tastes but what I can say is that the Mediterranean is no Red Sea. If you’re looking for a landscape of reefs and color, you might consider looking elsewhere. That being said there is still beauty in this part of Spain just on a smaller scale. As for how little, well, I’ll let my pictures do the talking. 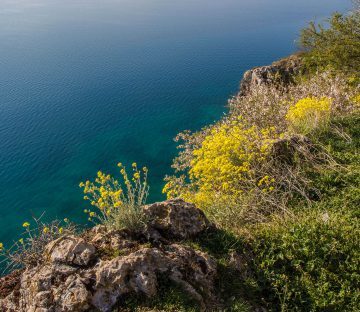 Costa Brava is a top-notch diving destination in the Mediterranean and as an added bonus is relatively inexpensive when compared to neighboring countries. 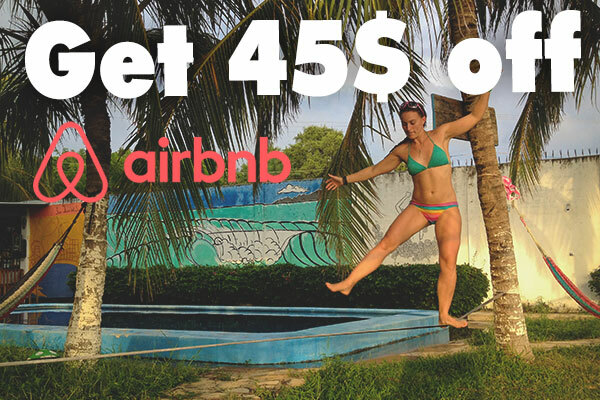 The average cost to dive is about 30€ for a single boat trip with tanks and weights included. 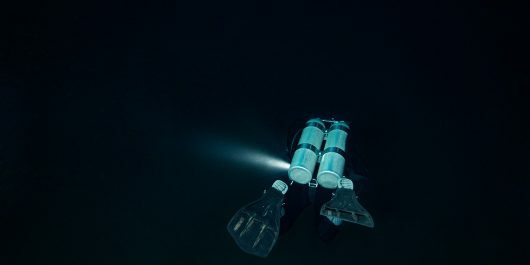 Supplemental nitrox (~6€ per bottle), equipment (23€ for full equipment package) and insurance (6€ per day) are available at most dive outfitters at an extra cost. 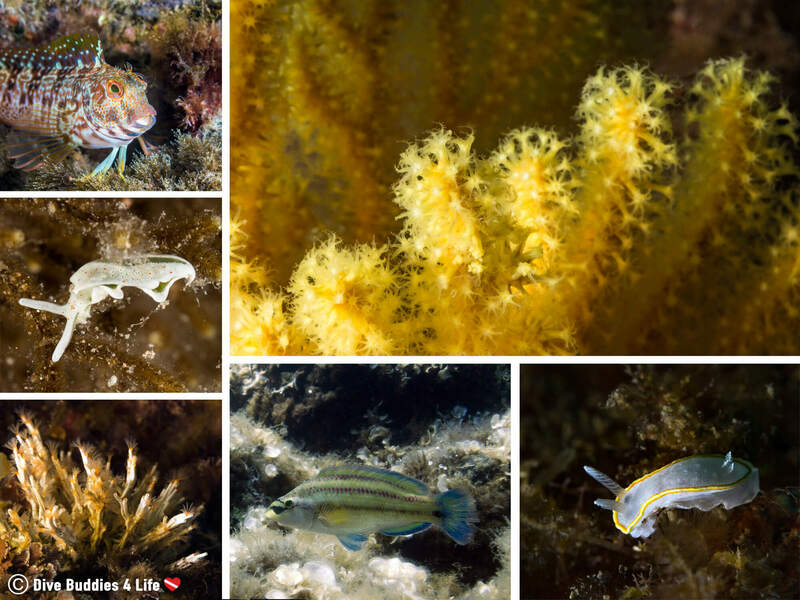 Costa Brava is one of those dive locations that can be dived year-round, however, the temperature is significantly more appealing from May to early September at 22-25°C. Many of the dive shops close down outside of those months, but for those with their own gear and a thicker wetsuit – the diving doesn’t stop even when it gets colder. 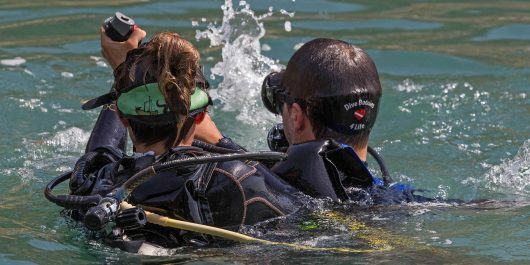 This may be obvious but in order to dive the Costa Brava, dive shops require a scuba certification. 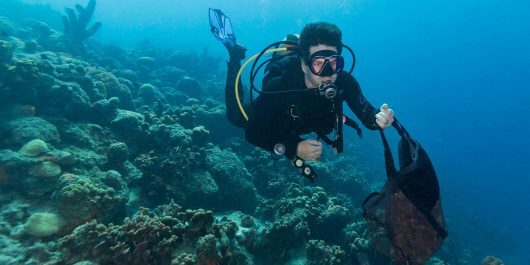 If you’re lacking a scuba certification some shops offer an introduction to scuba class that enables water-loving people to try scuba diving for the first time under the guidance of an instructor. Aside from a dive certification, scuba insurance is also compulsory in certain parts of Spain – Costa Brava being one of those spots. 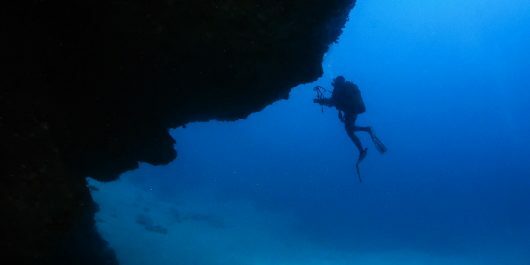 Divers need to either have a dive insurance upon arrival (DAN has great dive travel coverage) OR can purchase with the dive shop a day/week or month insurance. It’s important to note that some shops might not accept any other scuba related insurance apart from the one purchased at their shop. Costa Brava spreads over 200 kilometers and along the coast, there are plenty of dive shops that welcome anyone, from beginner to instructor. Of all the dive shops to choose from in the small town of Palamós, Joey and I used the crew at Dive Center Palamós. 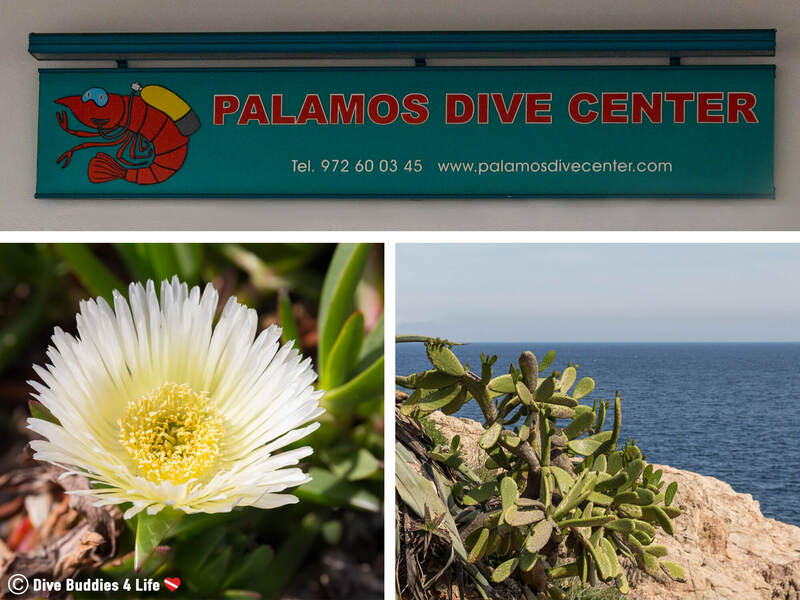 Dive Center Palamós had very friendly staff who were fluent in Spanish, French, and English. 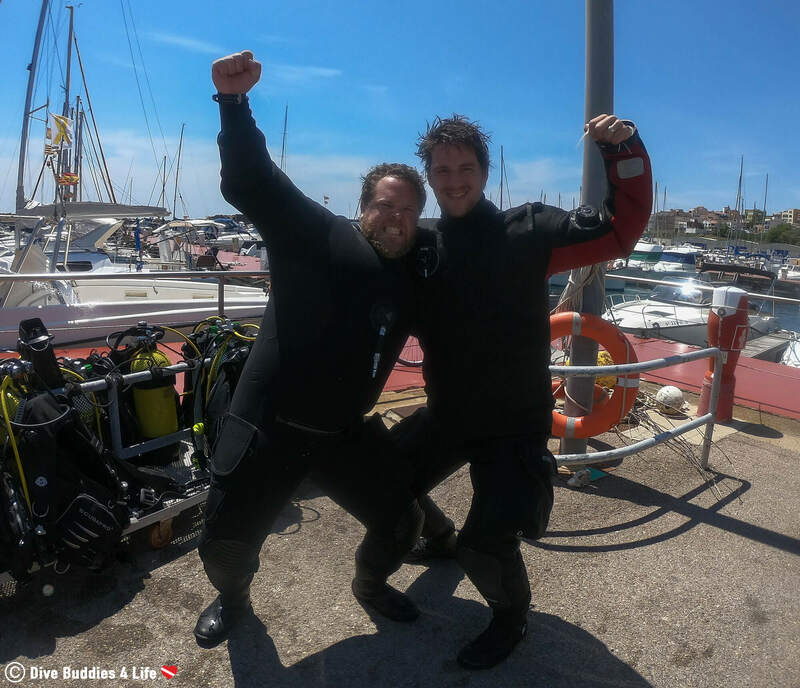 The only downside that we still don’t fully understand is that in spite of having DAN dive insurance, which was acceptable at every other dive center in Spain, Palamós required that we had to purchase their own shop dive insurance at 6€ per day. 2. Will I need to do refresher dive … Details ?? 3. Do you have dives on Sundays ?? Hi Arti, I have forwarded your question to a dive shop in the area and they should be in touch. Regards.